Latest rumour from Daily Mail... Jay Rodriguez and Andros Townsend could be swapping clubs between Tottenham and Southampton. Which club would be happier with that deal? So it would seem Falcao could really be about to join Manchester United. Thoughts United fans? Is this the player you need? Hit 'comment' and let us know. 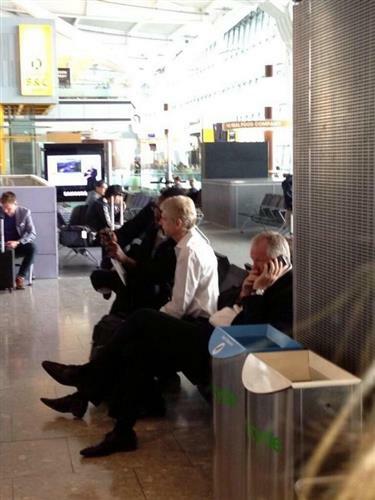 Who are Arsenal going to sign, or has Wengers annual game of "poker" cost us again in the transfer window? Any targets in mind Gary? Which positions do they need most? I certainly think Mignolet has reason to be worried. He hasn't always convinced and Valdes would provide serious competition (which he doesn't have at the moment). Think Van Gaal is looking at the wrong options. They need defenders surely?? Has to be a striker. With Giroud out we are woefully short up front and Sanogo just isn't the answer. Maybe he sees Theo Walcott or Alexis Sanchez as the main forward? That said, with the late interest in Remy it would certainly suggest Wenger wants a striker by 11pm today but targets are running out. love how people are laughing at Man Utd bad start to the season. Falcao, Rooney, van Persie, Di Maria, Mata. Pretty scary? Happy if Falcao is on his way to United but could somebody please tell the boss we are in desperate need of a midfielder. Oh what the hell maybe we could see if Scholes will return for another season!! Tom.....That is a very scary front line. Maybe they're going for the we'll score more than you option rather than buying defenders. If Falcao is confirmed, where would United finish this season? Back in the top 4? Hope we sign Marco Reus. I would love him at Arsenal. Interesting that Falcao would be embarking on a second consecutive season without Champions League football having left Atletico Madrid to join Monaco last season. And what about Monaco, losing star men James Rodriguez and Radamel Falcao to huge fees, maybe they could be sniffing around some players in these last few hours. That's the whole problem. He obviously wanted Remy and probably thought he could nick him on the cheap on deadline day, but once again he's messed about and left it far too late. Now the options are seriously limited and we are probably going to end up with a 5-6m panic buy! Sounds like Wenger tried to negotiate a Joel Campbell plus cash deal for Remy rather than just buying him outright. Seemed an odd one. I think it is more likely that no striker will come in than a panic buy though, doesn't seem overly desperate. Centre back is arguably a more pressing concern. DONE DEAL: Karim El Ahmadi joins Feyenoord on a three-year deal from Aston Villa. We also obviously need another central defender, but again, at this late stage, who is out there and a realistic target? 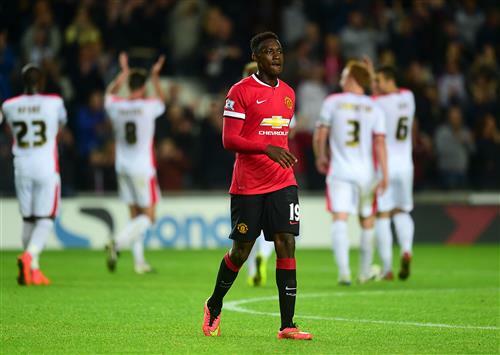 With Falcao coming in, chances are Danny Welbeck could be on the move. Tottenham heavily linked, Arsenal mentioned as well. Would he be a good signing? Great loan deal by #ManUtd for Radamel Falcao. We're hearing United will pay £12m for a season-long loan for Falcao. Pricey. I would take Welback at Arsenal as I think he's clever player but is he going to score you 25+ goals a season? Probably not! Expect Chelsea are done for the day. They've lowered their foreign players quota to 17 and after bringing in Remy, have no plans to sign anyone else. Petr Cech also set to stay. Buying players, doesn't always bring you success, united need four or five players, I think he has left this far to late. I just think you will struggle to make the top four this season. Is Falcao worth £12 million and £200,000 per week for a one year loan? Rome? Who would that suggest? The player linked with Arsenal in the past few days has been Roma striker Mattia Destro. Chelsea were linked but decided against the £20 million asking price. Might be a good fit for Arsenal at this stage though. Would again beg the question, why not just sign Remy but there we go! If Falcao comes in, surely Danny Welbeck's days could be numbered? Where will he end up today? 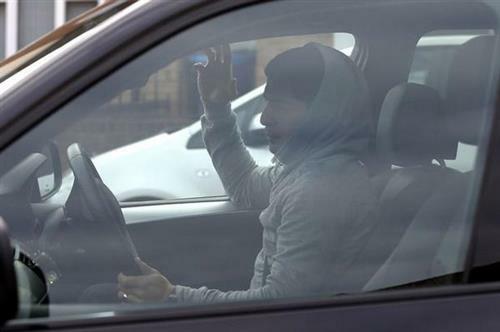 Of all the days to drive into Melwood to "pick up some things" Luis Suarez picks transfer deadline day. Journos are going to miss this guy.